To celebrate opening night, Anastasia will audio live-stream on Facebook the song “In a Crowd of Thousands” during tonight’s performance. As theatre audiences eagerly anticipate tonight’s opening of the musical Anastasia, those who cannot attend in-person will be rewarded with a special treat. To celebrate the event, Anastasia will audio live-stream via Facebook the song “In a Crowd of Thousands” during tonight’s performance. With a score by Lynn Ahrens (lyrics) and Stephen Flaherty (music), who are well-known for their work on Once on this Island, Ragtime, Seussical, and most-recently Rocky, the live-stream will introduce a new song written for the musical adapted from the popular 1997 animated film. Anastasia takes its inspiration from the historical account of the execution of Tsar Nicholas Romanov II, and the subsequent mystery of the whereabouts of his daughter Anastasia, and uses it as a jumping-off point to create a fictional tale about an orphan girl who might just be the missing princess. The animated film features many popular songs including “Once Upon a December” and the Oscar-nominated “Journey to the Past”. 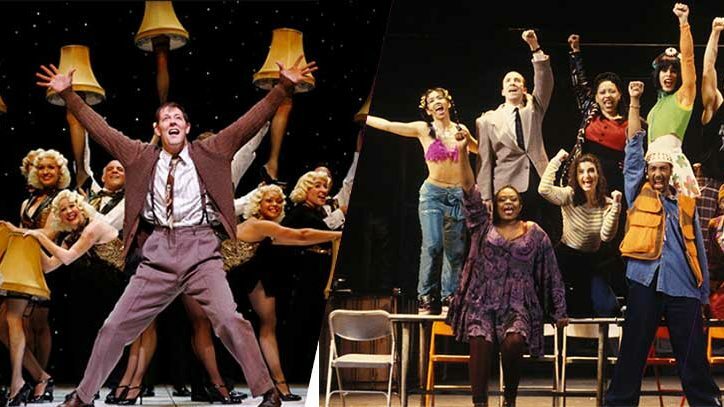 Both songs appear in the Broadway production. Anastasia features a book by playwright Terrence McNalley (The Rink, Kiss of the Spider Woman, Ragtime). 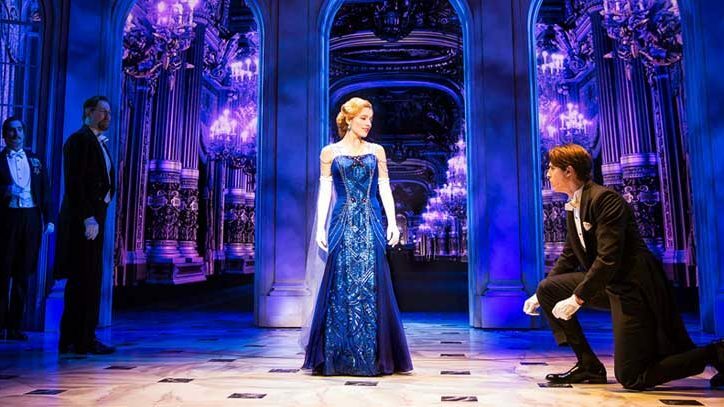 Directed by Darko Tresjak, Anastasia boasts an ensemble led by Christy Altomare, Derek Klena, John Bolton, Ramin Karimloo, Caroline O’Connor, and Mary Beth Peil. The ensemble includes Zach Adkins, Sissy Bell, Lauren Blackman, Kathryn Boswell, Kyle Brown, Kristen Smith Davis, Janet Dickinson, Constantine Germanacos, Wes Hart, Ian Knauer, Ken Krugman, Dustin Layton, Shina Ann Morris, James A. Pierce III, Molly Rushing, Nicole Scimeca, Johnny Stellard, McKayla Twiggs, Allison Walsh and Beverly Ward. The balance of the creative team is composed of Peggy Hickey (Choreography), Alexander Dodge (Set Design), Linda Cho (Costume Design), Donald Holder (Lighting Design), Peter Hylenski (Sound Design), Aaron Rhyne (Projection Design), Charles G. LaPointe (Hair/Wig Design), Joe Dulude II (Makeup Design), Tom Murray (Music Supervision & Direction), and Doug Besterman (Orchestrations). 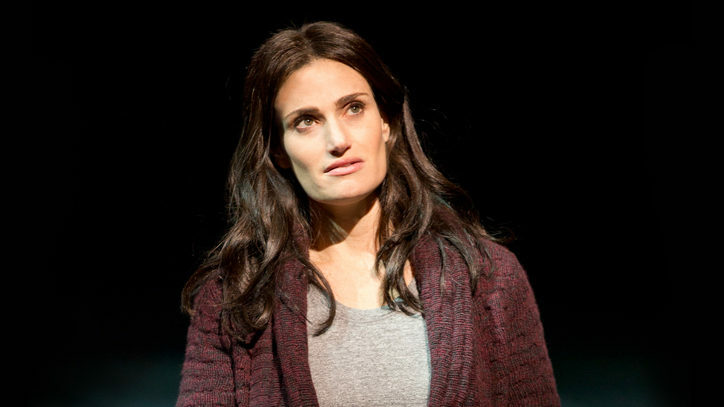 Anastasia has been nominated for two Drama League Awards: Best Production of a Broadway Musical and Distinguished Performance (Caroline O’Connor). Be sure to sign-in on Facebook tonight, go to the musical’s official page, and listen to “In a Crowd of Thousands” live from the Broadway opening at the Broadhurst Theatre.